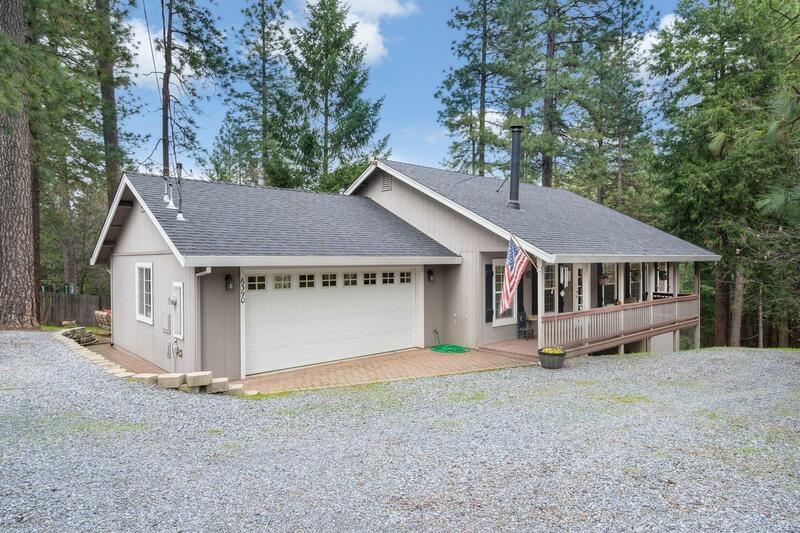 Towering pines and soaring cedars welcome you to this 3 bedroom home. Spacious floor plan showcases vaulted ceilings and a cozy wood burning fireplace. Dazzling island kitchen provides ample cabinet space, dining bar and stainless steel appliances. Master suite features a large walk in closet, sitting area and stall shower. Take advantage of having a spacious basement with a half bath would be perfect for an art studio or game room. Step outside and breathe in the fresh mountain air while relaxing out on Trex type deck or the front porch. RV/boat parking and 10 car possible parking. Enjoy being just minutes to Jenkinson Lake for outdoor recreation.